Guardian Maritime manufactures innovative anti-piracy measures for offshore platforms and facilities. 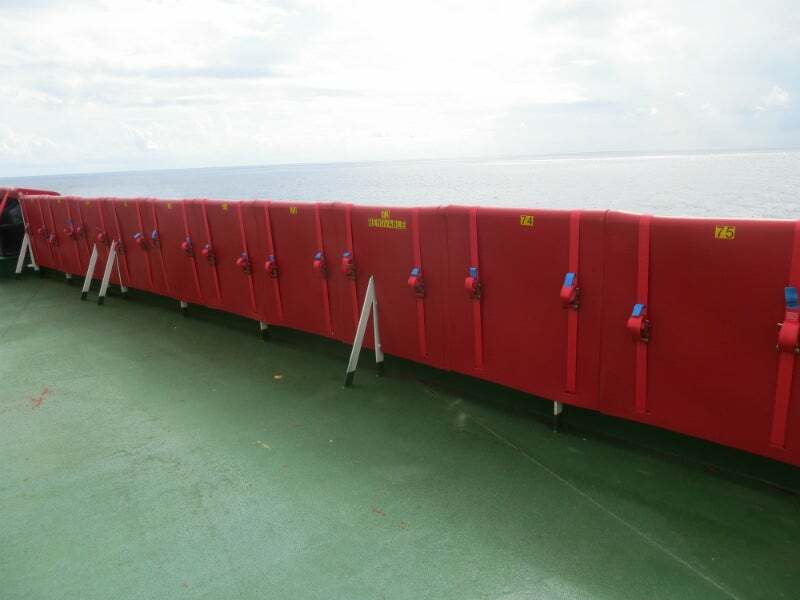 Designed for ease of installation and effective access prevention to platform decks, GUARDIAN™ barriers are an alternative to razor wire for offshore operators worldwide. Produced in three different locations worldwide from a specially designed compound, forming a high-density rigid barrier with extreme ultraviolet (UV) protection, the GUARDIAN solution outlasts razor wire by five years, saving time money and ensuring crew safety and owners peace of mind. The Best Management Practices Version 4 (BMP4) compliant GUARDIAN fits any size or shape of platform, easily covering awkward railings, chocks and fairleads while allowing for speedy and safe removal. The solution enables easy loading / unloading, with minimal risk to personal safety as crews no longer suffer from razor wire cuts or related infections, saving money and reducing downtime and man hours spent on installing and removing razor wire. Unlike razor wire, GUARDIAN can be 100% recycled at the end of its product life by regrinding the compound and being used to make other products. This decreases the impact on the environment and the risk to marine wildlife affected by razor wire washed overboard. A UK-based company, Guardian Maritime also has agents in the Middle East and Far East, and is constantly striving to improve its capabilities to service its growing list of client’s requirements. The company works with clients to address any special requirements in order to achieve a safe environment.